Thanks to the generosity of landowner Barnby Cade, a 78- acre parcel of land west of St.Marys is now an open place to explore nature. The 90-year old conservationist wanted the land preserved for the extensive wildlife he’s spotted over the years. It was a job the Upper Thames Conservation Authority was happy to do, accepting the donation in 2016. 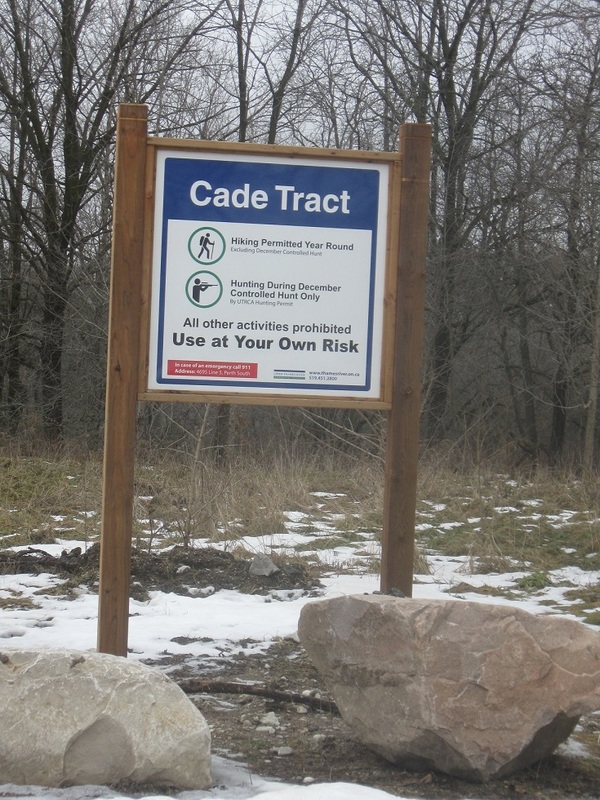 Located west of St.Marys off Road 139 and south about one kilometre on Perth Road Line 5, the new conservation area includes a stream, a maple woodlot and a hawthorn thicket. The Upper Thames Conservation Authority also plans to convert two former hay fields into native tallgrass prairie to improve habitat for Bobolink and other grassland birds. A retired farmer, Cade himself continues to live on the farm adjacent to the Tract. Jason Belfry of the UTCA explains how to access the Tract. “Head south at Rannoch on Line 5. There is a small parking area at the bottom of the hill closer to the river. Be aware that the parking area is not plowed in the winter. You will see the permitted access sign here”. Walk northwest of the parking lot to access the Tract. This property is a “use at your own risk” property as there are no developed managed trails. Conservation Authorities regulations are enforced on this property including: dogs must be on leash, no motorized vehicles, no camping, and carry out your trash. At this time of the year, proceed with caution as the river and creek are swelling with water flow.